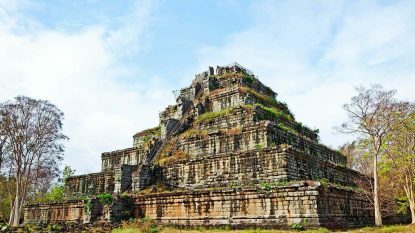 Temple Safari was originally conceived to take visitors off the beaten path to encounter the magnificent jungle temples beyond Angkor, far from the madding crowds. The roads were sometimes bumpy and the temples sometimes dilapidated, but the intimate experience of camping at the walls of an ancient monument more than compensated for some hardships along the way. 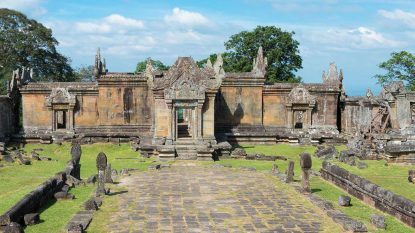 Many of the roads have since been rebuilt and many of the temples are under renovation, but the essence of the experience remains the same – Temple Safari delivers the Angkor experience of old, timeless temples with not a visitor in sight. Witness the most atmospheric temple ruins on earth, forgotten in the forests for almost millennia. See sunrise inching over the horizon, the temple ruins lost amid the jungle canopy, the modern world forgotten for a moment in time. The safaris are very much a seasonal adventure. Anyone who has had experience of camping in the rain will understand that the wet season is not the ideal time to undertake a safari. The best season for undertaking a safari is from November through to April, roughly corresponding to the dry season and the tourist high season. May, June and July need not be a bad time either, as it is hard to predict when the rains will come. October is also usually possible, as the rains are easing up at this time, although later in the month is a safer bet. We would not recommend a safari trip during August and September. Travel on safari is by comfortable 4WD. The usual vehicle of choice is a Toyota Land cruiser, as this is built to tackle tough roads. Cambodia Safaris can be tackled by motorbike with support vehicle for the more adventurous at heart. 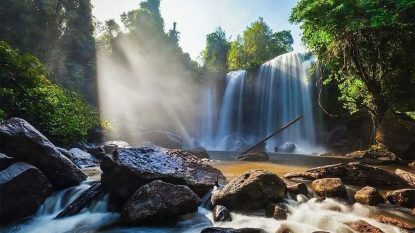 Those with some dirt-biking experience will find the trails of Preah Vihear province some of the most exhilarating biking in the world, with the pay-off of camping out at remote jungle temples at the end of the day. Motorbike tours include a support vehicle, a mechanic and motorbiking tour guide. 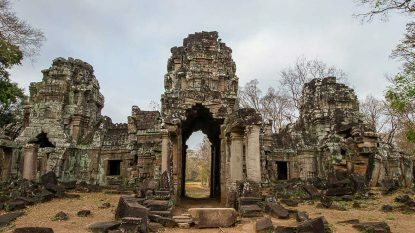 For incentive groups or VIPs looking for something very different, we can also arrange a quad biking adventure from Beng Mealea to Preah Khan along the ancient Angkor highway known as Route 66, complete with incredible naga-flanked bridges in the jungle. The safaris are not for everyone. It may be camping in style, but it is still camping. For those used to African adventures, it will be very familiar, but for others used to hotel chains and sanitized surroundings it may not be ideal. 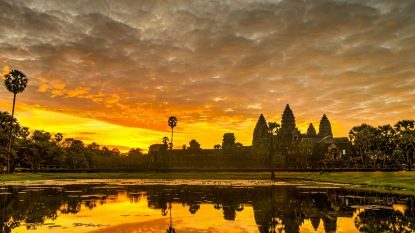 Cambodia remains a very poor country, with limited infrastructure, and this becomes more apparent the further visitors venture from the Siem Reap-Angkor bubble. 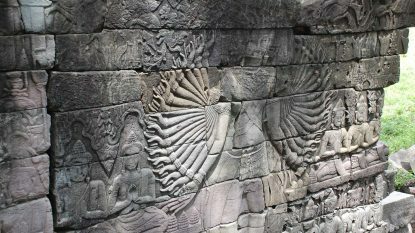 However, as a taste of the ‘real’ Cambodia, it is an unrivalled experience that will remain with guests forever.